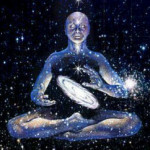 Is A Live Phone Psychic Reading Accurate? Psychic intuition is not limited to physical space. 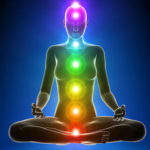 Everything in the world is connected, and using this spirit connection, a phone psychic is able to provide advice and relief from your concerns. By hearing and sensing your issues, phone psychics can help you work towards solutions to the most complicated problems. Psychic readings utilize a combination of psychology, intuition, and guidance from the spirit world to work through issues and become a better person. Psychic readings have helped many people work through grief, distress, personal issues, and negative life situations. The relief found in just talking to an impartial third party gives hope for the future. 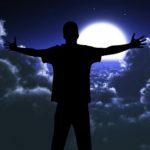 A positive, uplifting psychic doubles as a life coach. Psychic predictions give a client something to work towards, which may be more powerful than the reading itself in changing that personâs life. Hearing from someone with the ability to get in touch with your loved ones or the vibrations of the universe provides a chance to move in a new direction, if it is necessary. 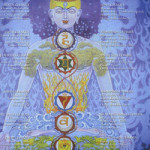 A large part of what makes a psychic reading valuable is the selection of a talented, understanding psychic. Although the most recognized names in the psychic reading industry charge hundreds of dollars per hour for an individual reading, talented psychic mediums may be found for much more affordable rates. 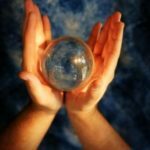 The process of locating a good psychic is one of trial and error. While review websites contain information on psychics that have been useful to others, finding the best one for your needs involves using your own intuition combined with some brief readings. 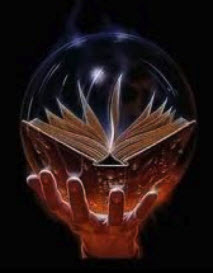 Utilize the âfree trialâ readings that some psychics offer in order to get a feel for their style. Finding a good psychic for your needs is a bit like finding a good doctor or psychologist: it takes time. A good phone psychic will be a good listener, supportive, and a provider of good insight into your issue. You should leave the reading with useful advice, a feeling of inspiration, a desire for self-exploration, and a feeling of the psychicâs overall respect for you as a person. You should feel safe in confiding with this psychic, even if it is likely that you will never meet in person. A sense of closure on your specific issue should be present. This is why it is important to take some time to locate a psychic that suits your own needs: your personalities need to mesh. A positive meeting of personalities will produce a better psychic reading than talking with someone that you simply do not relate to. In order for a psychic to relate to your experiences over the phone, it is important to be as open as possible with your emotions and experiences. Because the psychic is not physically in the room with you, he or she needs to be able to know and understand your concerns in order to address them completely. While it is natural to be cynical about a psychicâs abilities when you start utilizing his or her services, do not let this get in the way of the reading. Save judgment for after the reading, when you can decide whether or not to utilize this personâs services again. Although psychics vary in their ability to accurately provide insight into their clientsâ lives, a reading from a talented phone psychic can be quite accurate. The value of an individual reading depends on the personal connection developed between the psychic and his or her client. Taking the time to find the right phone psychic for your needs will ensure that each reading will be a positive, uplifting, accurate experience.